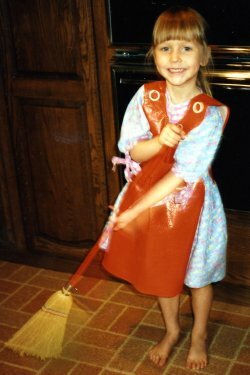 Child-sized materials made cleaning fun for my daughter, Christina, as a preschooler. 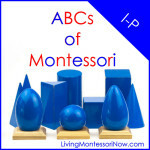 Dr. Maria Montessori brought a new method of education to the world in the early 1900s. Children are still benefiting today. Whether or not your preschooler attends a Montessori school, you can help your child by following some basic Montessori principles at home. I’m the guest blogger at Village of Moms today! 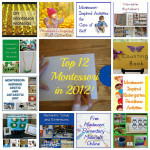 Follow me to A Nation of Moms for the top 3 Montessori principles you can use with your preschooler. Interesting. My son is no longer a preschooler but I’ll give them a try anyway. Thanks for your comment, Jenny! Actually, those Montessori principles are good at any age. I still use interest-led learning! Thanks, Michelle! It’s been great fun getting to know The Village of Moms. I’m glad you’re checking it out! Thanks for your kind words! It was great fun joining in at The Village of Moms. I love that name for a website – it really does feel like we’re all one big online village helping to raise children. Thanks for stopping by. I appreciated your comment. Thanks for stopping by, as well, Joelle! I’ll look forward to getting to know you! This was a very interesting post. I didn’t realize how intuitive the Montessori approach was. I’ve definitely learned something new. Thanks for your comment, Selena! 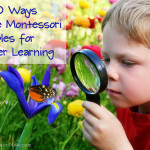 I think it’s amazing that Montessori principles actually are applicable to many areas of life. Those definitely apply even if they aren’t preschoolers i think it goes for any age. Thanks for your comment, Amanda! 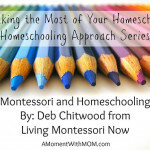 Even through my kids are grown up, I’m still trying to use Montessori principles in my own life! The closer I follow them, the better my life goes.